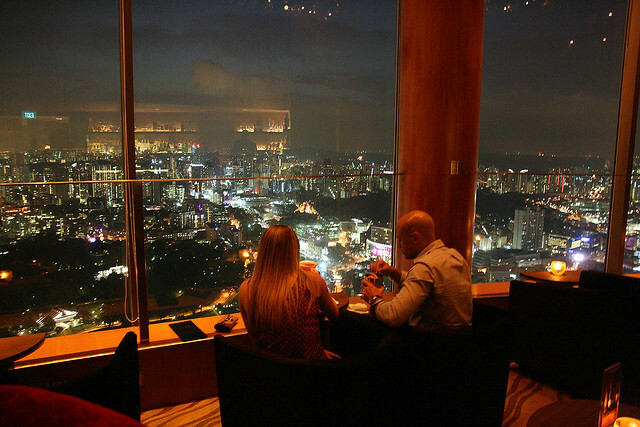 My good buddy Thehungrycow and I discovered some pretty cool cocktails at City Space, right on top of the Swissotel Stamford Singapore. The level 70 city skyline views are also breathtaking, and I'm surprised this place isn't more crowded than it usually is. I hope it stays that way - a nice, quiet place where you can chill and relax without jostling for elbow room. 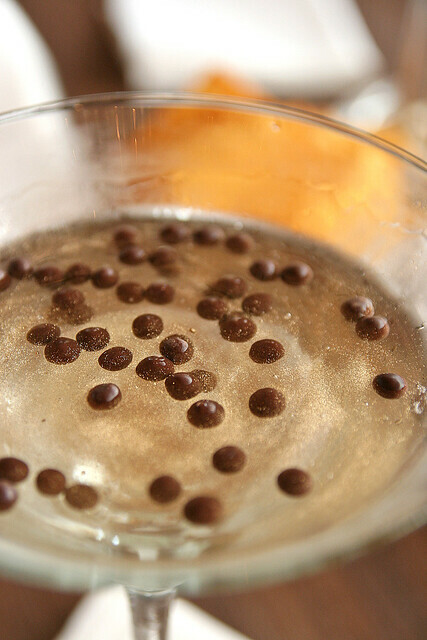 This is like an artistic impression of the Chocolate Martini – Smooth Effen Vodka, Crème de Cacao liqueur and a hint of hazelnut are flecked with real gold dust, silver flakes, with chocolate pearls held in suspension. 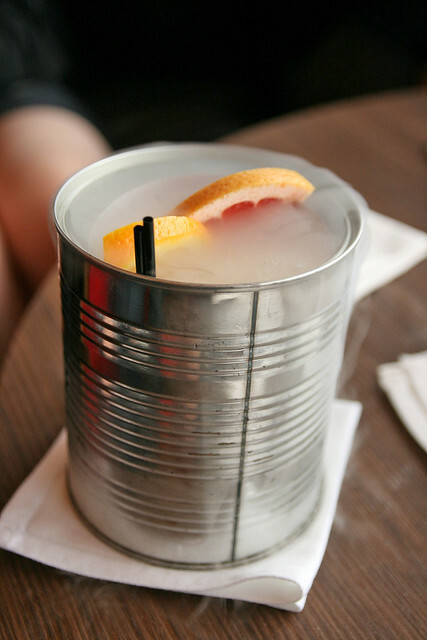 Not only beautiful, but fun to drink. It's pretty strong, so sip slowly! 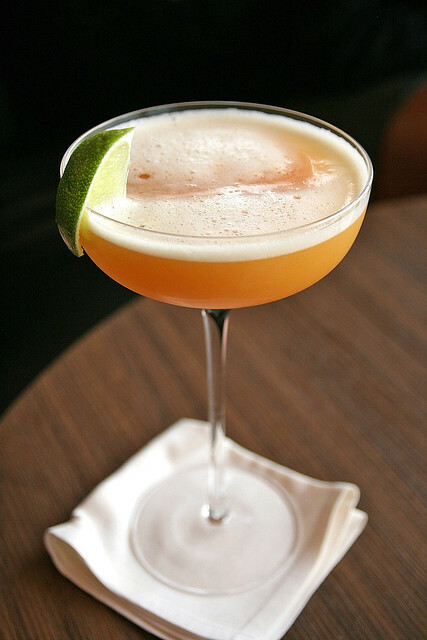 A fruit punch with Calvados and Belvedere Pomarancza blending fragrant mango and passion fruit with a hint of chilli. Served with a sharp, herbal fog with aromas of marjoram, rosemary and orange blossom. You won't find tapioca pearls in this concoction, but real bubbles instead. A mix of Sakura! Sakura! 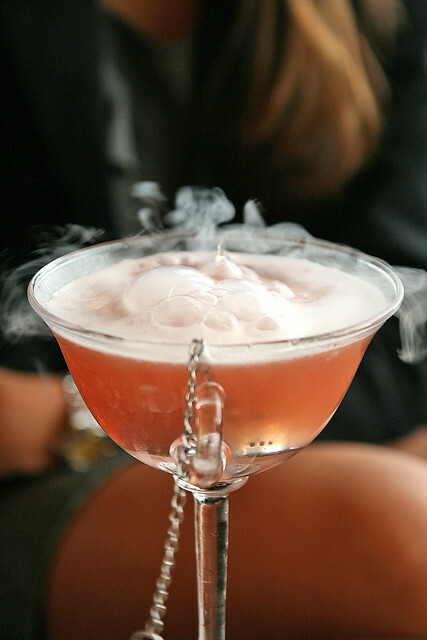 Tea infused with Tanqueray Gin with fresh grapefruit juice, cranberry and their own pomegranate grenadine. Those bubbles go on for quite a long time too. Something more subdued in terms of drama, but not less in terms of flavour. This one is from the Equinox Restaurant, but you can order it here too. Rhubarb-infused Gordon’s Gin, fresh pink grapefruit, passion fruit and cardamom come together for a rich flavour adventure. 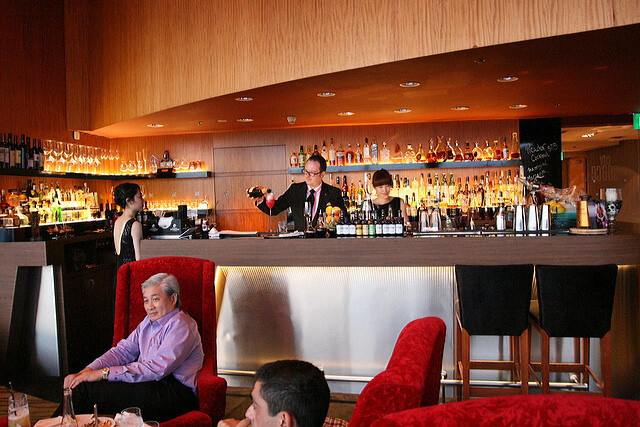 The bar also serves spirits, fine wines and champagne plus light bites. There is a pianist and vocalist who will jazz up your evening during certain hours. Overall, a nice place for pre-dinner drinks, especially if you are headed for Equinox (which we were, and I'll blog that in the next post).